Durma USA's parent company, Durmazlar, owns one of the world’s most contemporary production plants in the industry in Bursa, Turkey. 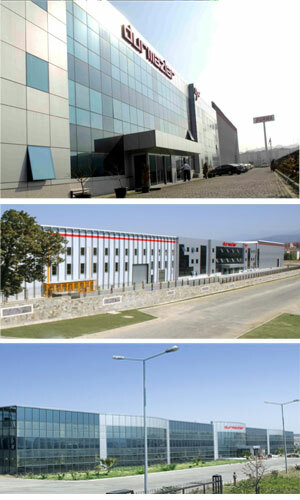 Three different ISO certified factories producing different product families employ 1,000 employees. In order to offer customer solutions and further develop patents, the Durmazlar Research and Development center opened in 2010. Fifty engineers were added over the last two years. Designed and engineered with modern technology, Durma products are equipped with high quality and proven readily available components. Established in 1956, Durma has vast experience in building and supplying quality products. With over 60,000 machines delivered worldwide, Durma has earned a reputation as a supplier of innovative “value oriented” solutions. Your partner today, tomorrow, and forever.